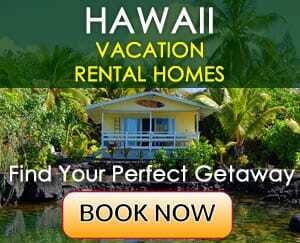 Here is an affordable way to explore some of the most scenic locations on Oahu – rent a car and drive along the island’s southeastern shore. This part of the island is truly amazing because of the unique scenery, beaches and lookout points, many of which are located at sea cliffs. A short drive from Waikiki and your breath will already be taken away as you stop at Kuilei Cliffs where you will see a pristine cliffy vista of blue ocean, tropical vegetation, colorful flowers, green palm trees and pine trees. Your tour will continue with a scenic drive through Kahala (an upscale Oahu neighborhood), where you can drive by luxurious homes, surrounded by nicely landscaped gardens. At the end of the road you can stop at a fine sandy beach – Waialae Beach. This Kahala beach is great for sightseeing, swimming and water sports. As you drive onto Kalanianaole Highway, you are heading towards several scenic beaches that are worth stopping at. The first beach park you will see is Wailupe Beach Park. It is a small park with beautiful scenery. Drive a little further and you will see another nice beach park called Kawaikui Beach Park. The beach park is large and lush and there are benches along the shore where you can sit to relax and enjoy the calm caress of the waves. From here you can see another upscale Oahu neighborhood – Portlock, which is located on a rocky peninsula. Continue diving along the scenic highway and you will get to Maunalua Bay Beach Park, as you enter Hawaii Kai (also an upscale neighborhood). This is a large park (with a large parking lot). It is a good place for a variety of water sports. You can see kayakers, jet skiers and divers almost all the time. The water is very calm, but the beach park does not have a good swimming beach. The nearshore waters are too shallow and there is a reef. After you depart from Maunalua Bay, you will approach one of the most popular beach parks in the entire state of Hawaii – Hanauma Bay. The beach is excellent for snorkeling and picnicking. Usually it is very busy, so if you come during the weekend, the parking lot is often times full later in the day. There is also an entrance fee to enter the beach area. After you pass Hanauma Bay, you enter one of the most scenic drives on Oahu – barren mountains and sea cliffs on your left side and breathtaking ocean views on your right. The road rises up on a cliff and has two good lookouts on the way – Lanai Lookout and Molokai Lookout, from where you can see the islands of Lanai, Molokai and Maui on a clear day. After these two lookout points is the Halona Blowhole lookout, where you can see three attractions at once – Sandy Beach Park (also known as the beach of broken necks, and there is a reason for that name! ), a blowhole that shoots ocean water into the air, and the narrow romantic beach, located among cliffs Halona Cove, also known as Eternity Beach, from the movie From Here to the Eternity. Continue driving to Sandy Beach Park where you can see the waves crashing on the shoreline. You will see many local residents at this beach who have experience riding tough waves. It is not advised to swim at this beach because of the strong shorebreak and underwater currents. Many accidents have happened here (among visitors and experienced surfers alike). After departing from Sandy Beach Park your next stop will be Makapuu Point – a scenic lookout from where you can see the east shore of Oahu, Makapuu Beach, Sea Life Park, Rabbit Island and the azure blue water. The water is so transparent that you can see the coral reef. Next you will have the chance to explore Kaiona Beach Park, a truly tropical beach with calm waters for a leisurely swim. The beach is easy to miss because it is located behind beachfront homes. It is right before Waimanalo Beach – another spectacular beach with plenty of shade and fine sands. The water there may look calm, but the waves break close to shore and sometimes small rocks are in the waves, which can hit and scratch your legs. The shorebreak is quite powerful here on some days. Two other popular beaches that follow are Kailua Beach Park and Lanikai Beach. Kailua Beach Park has a large grassy area and many trees on the beach. A good spot to view the entire beach is from a scenic lookout point located on the road to neighboring Lanikai. Keep walking on that road and you will see the upscale Lanikai town with many luxury homes. To get to Lanikai Beach, you will need to find one of the few public access walkways to the beach, which are located along the street. Once you get to the beach, you will see another postcard-perfect scene – the Mokolua Islands surrounded by azure blue tropical waters. Now, after a day of unforgettable sightseeing memories, it is time to head back to Honolulu or Waikiki. Take the Pali Higway and be amazed once again by the lush tropical vegetation you will see along the way. There are a few good lookout points here as well, including the Nuuanu Pali Lookout, from where you can see the town of Kaneohe and a large stretch of Oahu’s windward coast, all the way to Chinaman’s Hat, another small island located at the northern end of Kaneohe Bay.